When I think of great coastal design, the quintessential go-to guy is Barclay Butera. 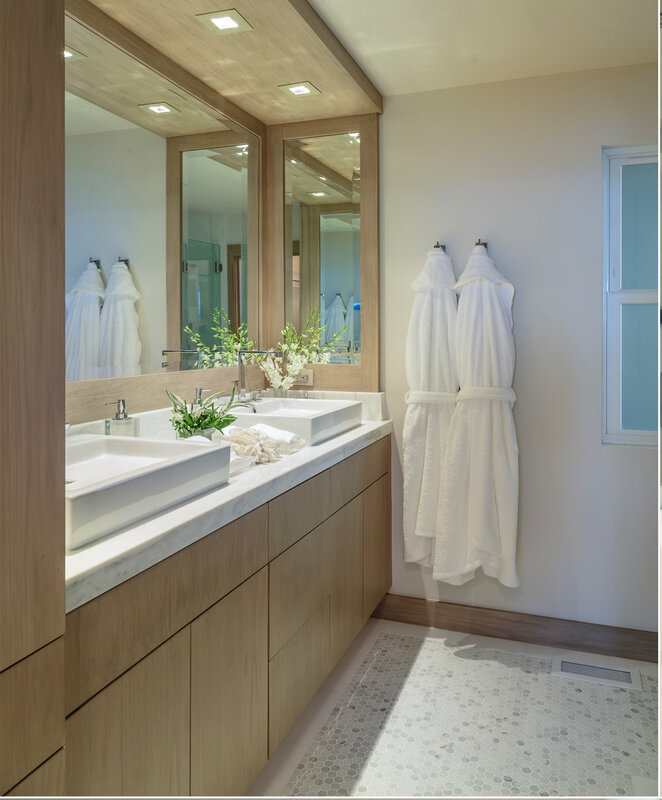 His client asked him to create a modern, glamorous and comfortable beach house that was fresh, relaxing and serene. This was successfully achieved by using all the beach colors of her spectacular ocean front view: soft blues, sand and crisp white. Accompanying this oceanic palette, the floors were stained to match the sand below and dark woods provided depth and structure. The most incredible feature of the home is the view. It’s breathtaking! Looking up the coast provides an ever-changing visage of life. Another wonderful part of this project is that the client trusted Barclay and team with the vision right from the beginning. They loved everything, and it was truly a dream project, one that Barclay was proud to put his name on.